As Molly watches her mother “slipping forward”, trying to approach her father, the physically hard-to-navigate ice represents the mentally even harder-to-navigate loss of a child. The parents’ awkward embrace shows their struggle to find closure in a dystopian suburbia; the lack of reconciliation creates an emptiness around which Williams creates the story. 2) Asymmetrical comparisons reveal provocative truths. 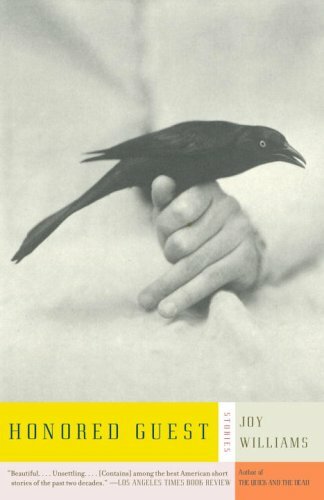 Williams’ short story “Congress” deals with an unhappy marriage, a brain injury, student-teacher relationships, taxidermy, hunting, spectatorship, and deep existential questions, all in 20 pages. 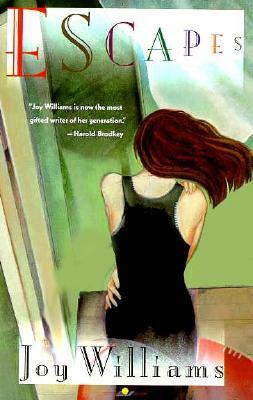 All these things are asymmetrical, and resist comparison and interconnection– yet Williams pursues the connections, creating a network of strange parallels that draw the readers attention to the reality of strains and disconnections. By comparing things that are, by nature, difficult to compare, Williams draws her readers’ attention to the omissions and silences that take place in the world. This exchange is asymmetrical. Gloria’s rebuttal doesn’t correspond to Gwendal’s accusation, but it comes close. Because of that, it gives the reader the illusion that she is directly answering Gwendal, even though she’s changing the subject. Gloria, too, thinks she is providing a direct answer to what she believes Gwendal wants to know, adding another layer of complication. This dialogue reveals information about the space in between the accusation and rebuttal. Williams creates spatial agency by bringing together very different people, concepts, and objects around these in between spaces, both to coexist and communicate. These coexistences constantly approach reconciliation, but never quite reach it. In the end, the reader is left to find his or her own sense of reconciliation. That’s very insightful! I’d like to hear your thoughts on other writers’ work!